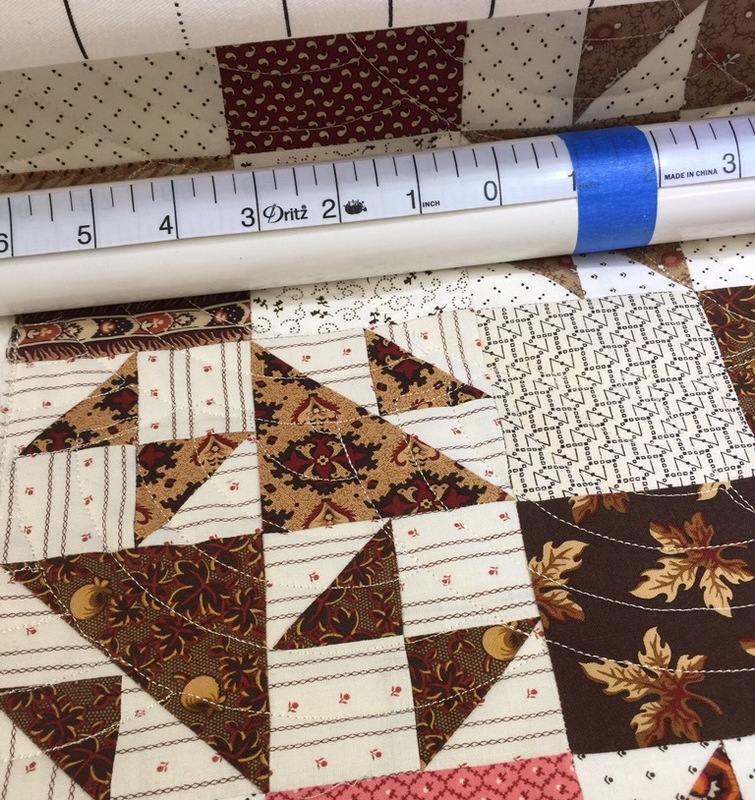 I finally had a bit of time over the weekend to get working on the last installment for the Quilters Madder QAL hosted by Lori at Humble Quilts. I decided to change up the layout slightly. I got it loaded in the frame and decided to quilt it with my small Baptist Fan design boards. I didn’t get this pass lined up quite right, but it is what it is! No time for do overs, I have a flight to catch! How’s everything going in AZ? I love the pattern you are sewing. 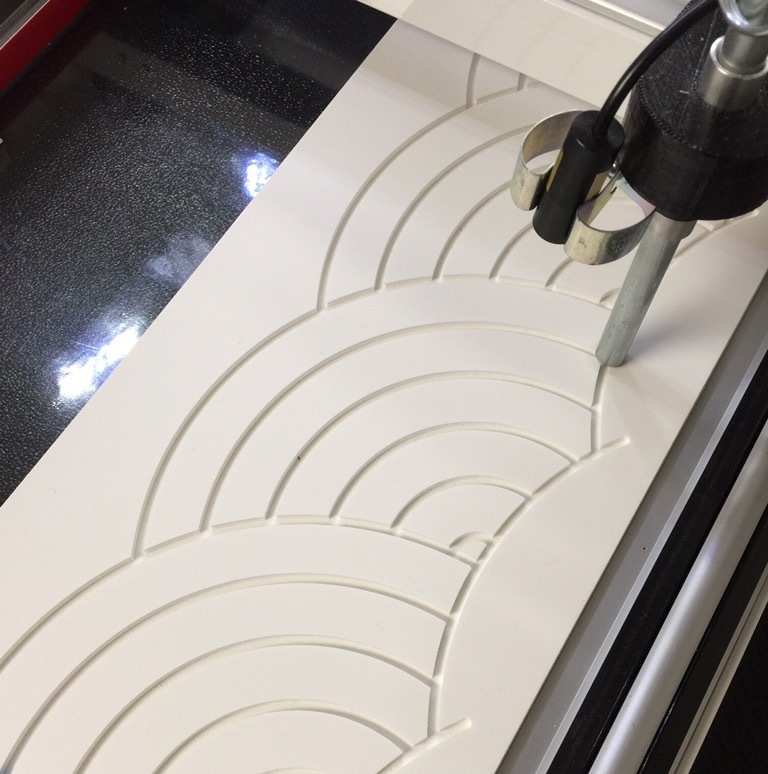 I’ve done it by hand, but never by machine. Hope all is well with you and your family and loved pets!! Love your little quilt, Katy! I am still working on mine….”life” keeps interrupting!! But I will get it done…. 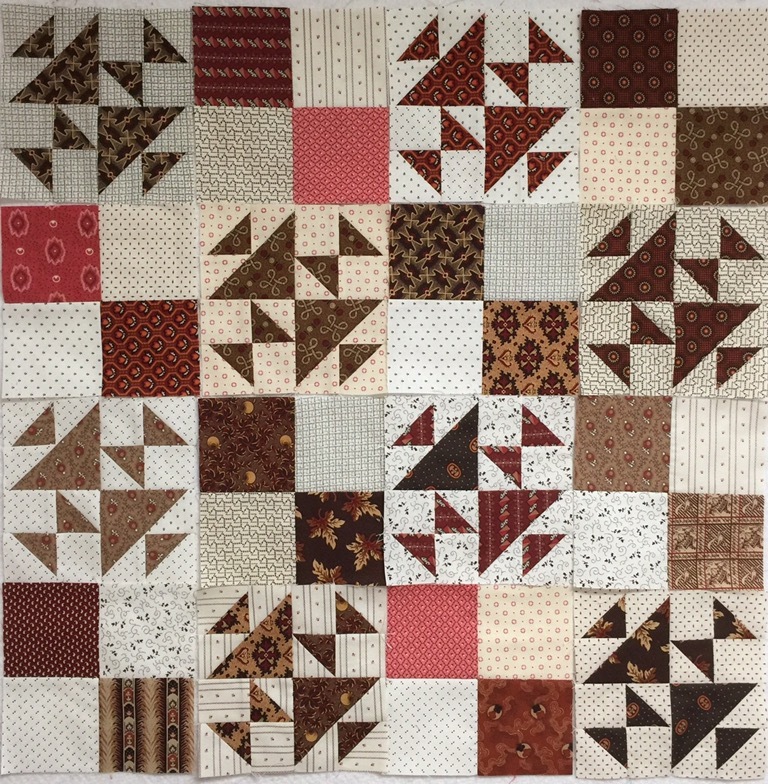 Baptist Fan is one of my all time favorite quilting patterns and it is perfect for this project….as always, thanks for sharing! Oh my ! It’s sooo gorgeous Katy ! I have to finish it too before the end of this week ! You are a speedy genius. Safe travels. You do some excellent piecing – all points on perfect. Neat quilt. I love your little quilt – cute design and beautiful fabrics! I’d like to see your fabric stash — you have great fabrics in your quilts! This one is another beauty! Looks great! I cannot even see what you think is not right, and I’m sure no one else will either. 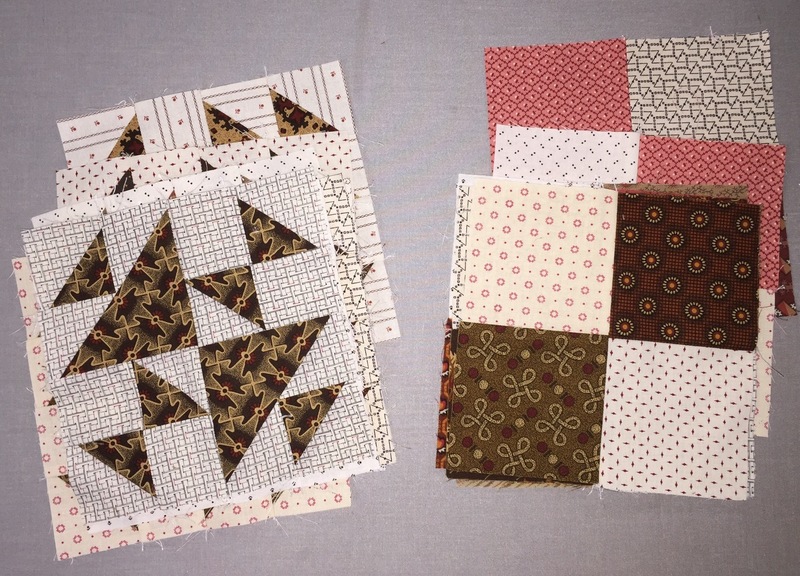 What a neat quilt and it looks like it was fun to quilt with the Baptist Fan template! Thanks for sharing!